Frederick Carl Katz was born in Adelaide on 21 May 1877, the son of Carl August, a goldsmith and jeweller, and Jane, née Wiltshire. Carl (or Charles, as he became known) was a French-born German who arrived in Adelaide on board the Northern Monarch in 1876. Fred’s family moved to Victoria in the late 1880s, and settled in Melbourne. In 1899 Fred was working as a packer and resided in Fitzroy. At the time of his marriage in April 1900 to 22-year-old Melbourne-born Alicia Watkins, at St Ambrose Roman Catholic Church, Brunswick, Fred described himself as ‘Traveller’. The couple’s only child, Olive Amelia, was born in 1901. Alicia and Fred were politically active in the early years of the century, finding in the Social Democratic Party of Victoria and its successor, the Victorian Socialist Party, an outlet for their considerable energies. They were regular speakers at meetings, and the Socialist praised Alicia as ‘the best speaker, but one, of all the women heard during the last twenty years in Victoria’. We know little about the marriage of these two left-wing political activists, although friends and family recalled that they seemed to be ‘always struggling for money’ and that Alicia was not much ‘interested in homes or housework’. Alicia declared in a reported speech in 1924 that she ‘would like to do something besides playing her part as a wife and a mother’, adding that wifehood and motherhood ‘did not go hand in hand with frying bacon’. Alicia believed that mothers ought to be paid by the state for their role in raising children, a measure that would provide them with economic independence from their husbands. Initially, Katz was hostile to socialist cooperation with the Labor Party in electoral matters, and went so far as to condemn those who advocated a vote for Labor when no socialist was standing. Yet he was equally opposed to the anarchists, who were, he said, ‘the most dangerous party the working class have had to contend with, because they persist in using uncivilised weapons, thereby attempting to put the workers back into a state of savagery’. In the period between 1909 and World War I, Katz was considered the ‘most forceful advocate of militant and socialist beliefs’ in the Melbourne branch of the Federated Carters’ and Drivers’ Industrial Union, to which he was elected assistant secretary. In 1911 he was given the task of organising the carters and drivers of Tasmania. The Katz family travelled across Bass Strait in March of that year, and within a few months the membership of the previously dormant local branch of the union had grown from thirty to more than four hundred—it eventually peaked at over eight hundred. Katz was also active in organising Tasmanian gasworkers, jam-makers, liquor trade employees, shop assistants, hotel employees and labourers. In July 1911 he led successful carters’ and drivers’ strikes in Hobart and Launceston, which resulted in significant improvements in wages. Enthusiasm for militancy, however, soon waned, and, faced with the disintegration of the branch, Katz ‘resigned all his positions in the union in January 1914’ and returned to the mainland. This decision seems also to have been influenced by Olive’s persistent ill health. 1. Are you prepared to enlist now? If your answer is Yes, you will be given a fortnight’s notice before being called up. 2. Are you prepared to enlist at a later date? If so, name the date. 3. If you are not prepared to enlist, state the reasons why. Although his political views alone would have been enough to make him unpopular with dyed-in-the-wool patriots, the ‘concerted yell’ that went up from the crowd when, during the attack, Katz declined to confess his father’s nationality indicates that his German surname did not help. Between 1920 and 1940 Katz was federal secretary of the Australian Clerical Association (known as the Federated Clerks’ Union from 1911 to 1917, and again after 1924). He also served as Victorian state president, since the federal position was part-time. From 1922 until 1927 he was both Victorian branch secretary of the Federated Miscellaneous Workers’ Union and general secretary of the federal body. 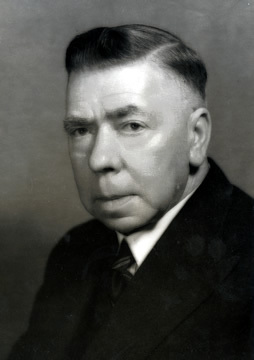 He served on the disputes and finance committees of the THC in the 1930s, occupied the council’s presidency from 1937 until 1938 and was assistant secretary from 1938 to 1947. During World War II Katz was a union representative for the state Cargo Control Committee, which was responsible to the federal body for ensuring the rapid movement of ships between Australia and the war theatres. He was also, during the 1940s, a deputy member of the Victorian Industrial Court of Appeals and union representative on the state’s Regional Reconstruction Training Committee and on a committee for the re-establishment and reinstatement of ex-servicemen. Katz was active in the Labor Party from around the end of World War I and served on the state executive, although he and Alicia both ran into difficulty with the party hierarchy as a result of their public support of liquor interests: it was official Labor policy to remain aloof from this question. Fred ran unsuccessfully for the state seats of Warrnambool in 1921, and Nunawading in 1934, the latter a by-election. In the 1931 federal election, which resulted in the defeat of the Scullin Government, he was easily defeated in a contest for the seat of Henty. An effort to win a place on the South Melbourne Council in 1935 also failed. Alicia was herself a pioneering Labor candidate for Parliament who stood unsuccessfully for the state seat of Barwon in 1924, the first Victorian election in which women were allowed to run as candidates. She was also a Labor Party organiser who served as president of the party’s Women’s Organising Committee. Her combination of socialism and feminism was evident in an election speech of 1924 in which she commented that undesirous ‘as a man-made world had become, she did not desire a woman-made world, but wanted a world based on the attributes of both’. Katz’s short stint in the Commonwealth Parliament occurred at the end of a long career in the labour movement and is perhaps most accurately viewed as a reward for a lifetime of loyal service. Elected in September 1946, he served as a member of the Senate Standing Committee on Regulations and Ordinances and was appointed chairman of the Select Committee on the Commonwealth Bank Bill (1951). As a senator, Katz maintained his earlier interest in the problems of postwar reconstruction, and particularly the difficulties faced by ex-servicemen. He was prone to historical digressions in his parliamentary speeches, which were full of references to the bad old days when workers suffered from much greater poverty and oppression than under the ‘enlightened and progressive’ Chifley Labor Government. His vast industrial experience was undoubtedly useful when the Senate came to consider such matters as the Conciliation and Arbitration Bill 1949 and the National Emergency (Coal Strike) Bill of the same year. Katz was one of four—including Senators Morrow and O’Flaherty—who, in the Labor Caucus, unsuccessfully opposed the introduction of the latter bill. The bill would have made it an offence for trade unions registered under the Commonwealth Conciliation and Arbitration Act to use funds to support the coal strikes in New South Wales. Despite Labor’s massive majority in the Senate, Katz did not regard that chamber as a rubber stamp for government legislation, and he was justified in making the claim during debate on the Constitution Alteration (Avoidance of Double Dissolution Deadlocks) Bill 1950 that he had always done his ‘best to uphold the dignity of the Senate’. Katz also supported the provisions of what became the Commonwealth Electoral Act 1949, which gave federal voting rights to Aboriginal people enfranchised in their state of residence or who had served in the armed forces. He believed that, with equal opportunity, the Australian Aboriginal could ‘hold his own with the white man in almost every walk of life, including even the arts’. Unfortunately for Katz and his party, his rash prediction in October 1949 that Labor was not only destined to be returned to office at the forthcoming election, but would ‘never be displaced from office’ proved wrong. Katz lost his seat at the 1951 election in which the Menzies Government was returned with a majority in the Senate. After several years of illness, Fred Katz died at his home in Albert Park on 13 December 1960, aged eighty-three, Alicia and Olive surviving him. He was cremated at the Fawkner Crematorium after a service at Sleight’s Chapel, St Kilda Road. In a meeting of the Trades Hall Council executive, J. V. Stout, the secretary, noted that Katz had ‘given a lifetime of service to the Trade Union Movement’ and ‘played a very prominent part in the formation of the Socialist Party and in fighting the conscription campaigns of the First World War’. Alicia died on 7 October 1964, aged eighty-eight. Age (Melb. ), 23 Dec. 1915, p. 7; Jill Statton (ed. ), Biographical Index of South Australians 1836–1885, South Australian Genealogy and Heraldry Society, Marden, SA, 1986, p. 875; Joan Rivis, Alicia Katz: The First Attempt, League of Women Voters of Victoria, [Melbourne], 1988, pp. 4, 5. Verity Burgmann, ‘In Our Time’: Socialism and the Rise of Labor 1885–1905, George Allen & Unwin, Sydney, 1985, pp. 128, 132, 135; Socialist (Melb. ), 9 Oct. 1908, p. 3; Rivis, Alicia Katz, pp. 5, 8; Argus (Melb. ), 28 May 1924, p. 9; Socialist (Melb. ), 17 July 1908, p. 5. Socialist (Melb. ), 29 Jan. 1909, p. 2; Bradley Bowden, Driving Force: The History of the Transport Workers’ Union of Australia 1883–1992, Allen & Unwin, St Leonards, NSW, 1993, p. 44. Labor Call (Melb. ), 9 Mar. 1922, p. 4; Bowden, Driving Force, p. 46; Rivis, Alicia Katz, p. 5. Argus (Melb. ), 23 Dec. 1915, p. 8, 24 Dec. 1915, p. 6, 25 Dec. 1915, p. 8; Age (Melb. ), 23 Dec. 1915, p. 7; Ernest Scott, Australia During the War, A & R, Sydney, 1938, pp. 311–12; Rivis, Alicia Katz, p. 6. Raj Jadeja, Parties to the Award: A Guide to the Pedigrees and Archival Resources of Federally Registered Trade Unions, Employer Associations and Their Peak Councils in Australia 1904–1994, Noel Butlin Archives Centre, ANU, Canberra, 1994, p. 88; Gregory F. Walsh, The Federated Clerks’ Union of Australia: A Study of Government and Unionism in the Twentieth Century, PhD thesis, Monash University, 1984, pp. 92, 120, 146; Margo Beasley, The Missos: A History of The Federated Miscellaneous Workers’ Union, Allen & Unwin, St Leonards, 1996, pp. 15, 17, 203–4; THC minutes, 9 June 1932, 8 June 1933, 14 June 1934, 15 Dec. 1934, 11 June 1936, 10 June 1937, 9 June 1938, 1/1/1/14–17, THC Collection, University of Melbourne Archives. Executive minutes, 15 Dec. 1960, p. 223, 1/2/1/33, F. Katz to J. V. Stout, 30 May 1947, 7 Jan. 1948, THC Collection, University of Melbourne Archives; CPD, 16 Oct. 1947, p. 861, 24 Oct. 1947, p. 1316. Rivis, Alicia Katz, pp. 6, 7; Labor Call, 9 Mar. 1922, p. 4. Rivis, Alicia Katz, p. 7; Argus (Melb. ), 28 May 1924, p. 9. G. S. Reid and Martyn Forrest, Australia’s Commonwealth Parliament 1901–1988, MUP, Carlton, Vic., 1989, pp. 214–15; CPD, 15 Oct. 1947, p. 729, 3 Dec. 1947, pp. 3028–9, 16 Sept. 1948, pp. 470–3, 27 Oct. 1948, p. 2164, 28 Oct. 1948, p. 2275, 3 Mar. 1949, p. 946, 28 June 1949, p. 1543, 9 June 1949, pp. 754–5. CPD, 8 Apr. 1948, pp. 675–6, 2 Mar. 1949, p. 814, 29 Apr. 1948, p. 1206, 8 Sept. 1948, p. 173, 1 June 1950, pp. 3567–8, 9 Apr. 1948, p. 804. CPD, 24 Nov. 1947, p. 2551, 18 June 1948, pp. 2336–7, 28 June 1949, pp. 1542–4, 29 June 1949, pp. 1626–36, 1643; Patrick Weller (ed. ), Caucus Minutes 1901–1949, vol. 3, MUP, Carlton, Vic., 1975, p. 488; CPD, 20 June 1950, p. 4500, 17 Mar. 1949, pp. 1612–13, 5 Oct. 1949, p. 890. Herald (Melb. ), 13 Dec. 1960, pp. 14, 26, 15 Dec. 1960, p. 7; Executive Minutes, 15 Dec. 1960, p. 223, 1/2/1/33, THC Collection, University of Melbourne Archives. This biography was first published in The Biographical Dictionary of the Australian Senate, vol. 2, 1929-1962, Melbourne University Press, Carlton, Vic., 2004, pp. 165-169.